The color of this flower makes it a showstopper, and as you can imagine, hummingbirds love it. 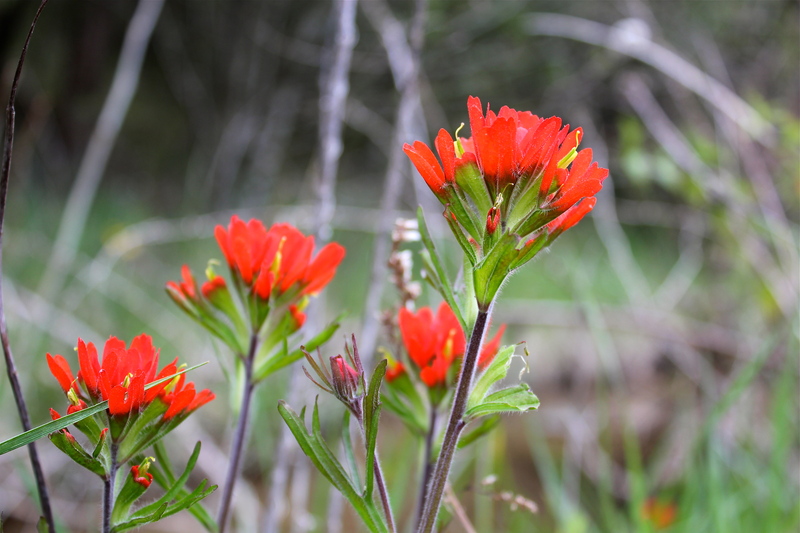 Indian paintbrush is partially parasitic. The roots of the plant grow down in the soil until they meet other roots, often grasses. They receive part of their nourishment from these associations. As a result, this plant is not easy to transplant and is better to start from seeds. Common in prairies out west, this plant will also grow in open, moist woodlands here on the east coast. These photos were taken along a travertine stream in Shawsville, VA.